Poseidon Missile launched from a submarine. Photograph copyrighted by Lockheed-Martin Missile and Space. 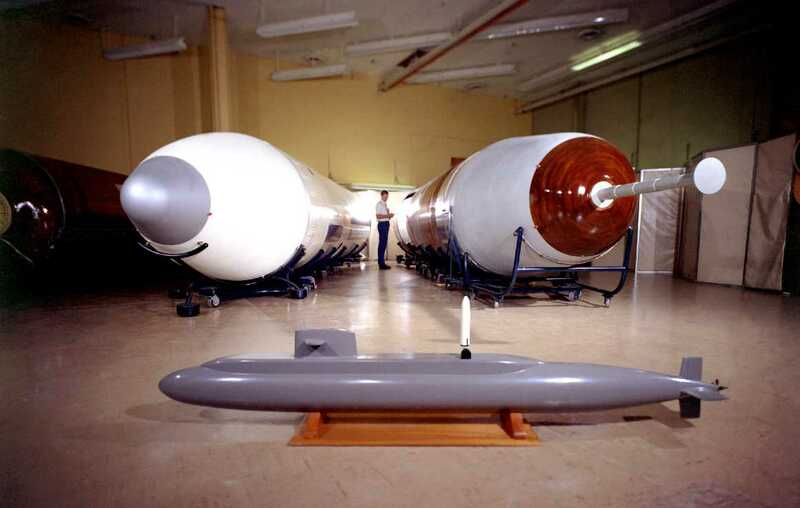 Picture comparing Poseidon C-3 and Trident I C-4. The Poseidon is on the left and the Trident is on the right. In the foreground is a model of USS Ulysses S. Grant SSBN-631. U.S. Navy Photograph No. DN-SC-82-00006. 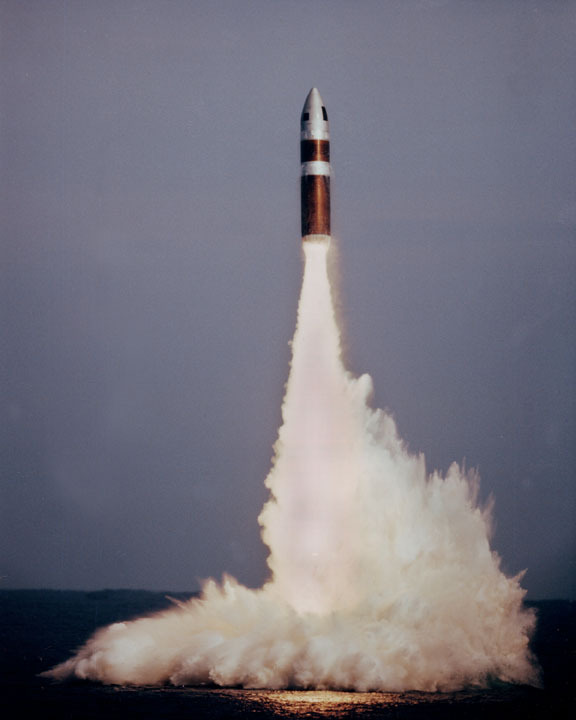 The next generation of fleet ballistic missiles to follow Polaris was the Poseidon C-3 missile. Longer, larger and heavier than the Polaris, the C-3 carried multiple warheads, each of which could be targeted separately over a wider space and variety of target footprints. The C-3 Poseidon was twice as accurate and its warheads had twice the explosive power of the A-3. Considering these factors, experts believe the C-3 was eight times as deadly as the A-3. The first submarine to carry and launch a C-3 missile was USS James Madison (SSBN-627) in August of 1970.